The Hip & Urban Girl's Guide: We Style Our Prom Queen At The Corsage Project! 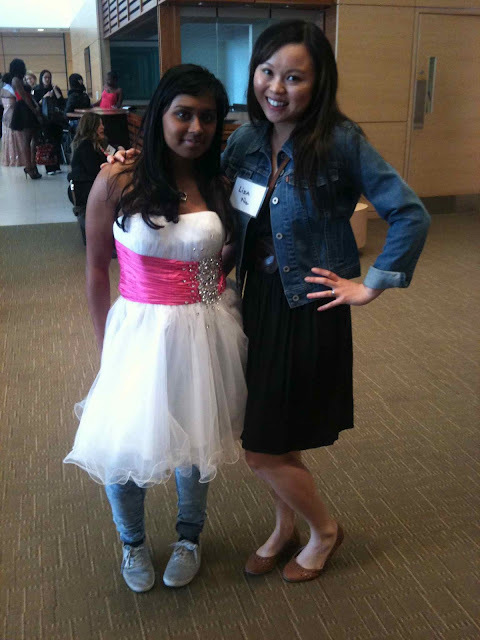 We Style Our Prom Queen At The Corsage Project! People always tell me that prom is lame. But I think prom is that one excuse to dress up in a ridiculously awesome dress, eat a fancy dinner with your friends and shake your booty away. It's the goodbye party of all goodbye parties. You survived high school and that my friend, deserves one serious party. Going to prom can also be ridiculously expensive. The Corsage Project gets that and they're in the business of making prom dreams happen. 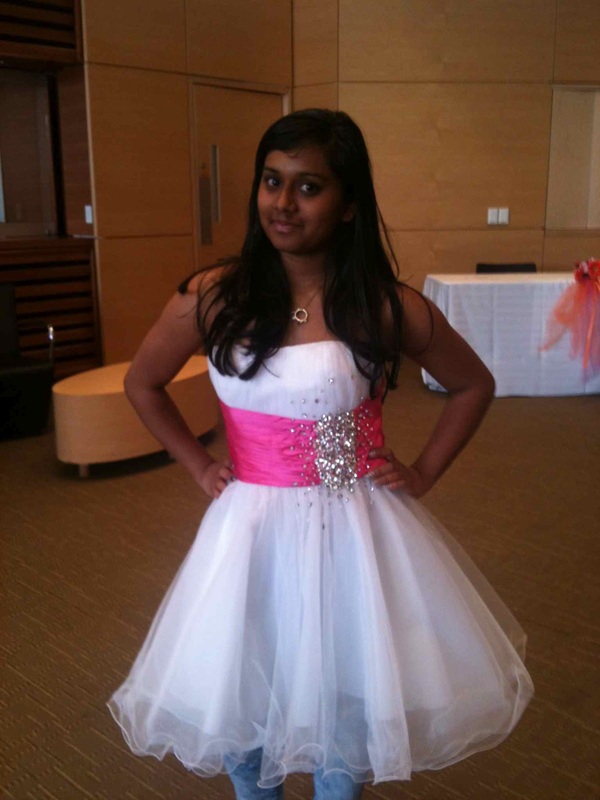 They provide 275+ formal gowns and accessories to Toronto area girls who are unable to purchase their own attire. The organization is now in its 12th year and students are confidentially referred by guidance counsellors, Children's Aid, teachers or social workers. I was honoured to volunteer at this year's Boutique Ball as a personal stylist, along with fellow fashion peeps Leesa Butler and Gail McInnes (above). We arrived at the Toronto Reference Library for the afternoon shift, where we would help a lucky guest pick out her prom dress, shoes, earrings, necklace, bracelet, clutch and pashmina. 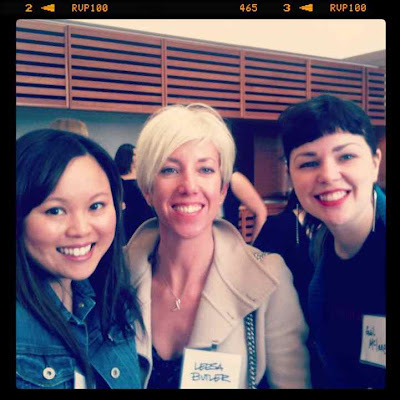 We had our work cut out for us because as soon as the doors opened, it was a fashion frenzy! 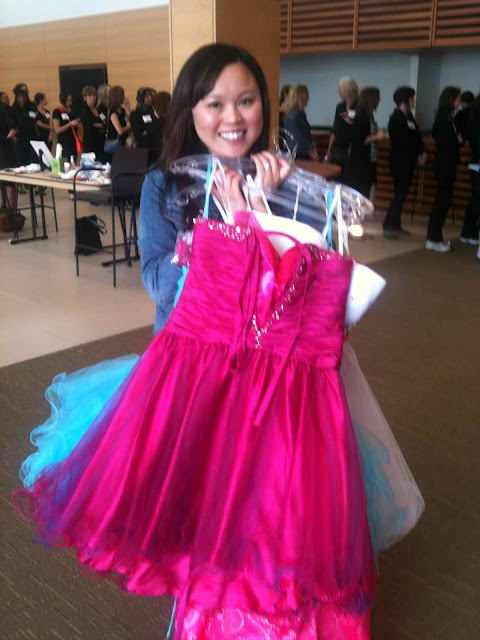 Rack after rack of brand new formal dresses were donated by various sponsors such as Laura, Want Boutique, French Connection, The Room at The Bay and Le Chateau. All of them are organized by size and colour. Once I met my prom queen, Shefat (a senior at Danforth Tech) we quickly hit the racks while she told me about her dream of a short and poufy prom dress. Maybe in pink? I pulled and compiled dresses like a big sister and we hauled our finds into a pop-up fitting room, sectioned off with mirrors and racks. After about zipping Shefat in and out of five potential dresses, we returned back to this cute little white number with a pink sash and a burst of rhinestones in front (below). It's the kind of dress you can only wear when you're 18. Shefat looked at me and sighed, "I think this is my prom dress." OMG I almost teared up like the mother-of-the-bride...what was wrong with me? I was just overpowered by all the amazing energy in the room which came together to gift Shefat the prom outfit of her dreams. Complete with a pink bow clutch, pink pashmina, a rhinestone bracelet and a Swarovski necklace and ring. First of all, isn't Shefat adorbs? Now the dress was a size too big for her, but luckily a team of seamstresses were set up across eight different sewing stations to provide simple alterations on-site!!! Whether it was a hem shortening, a spaghetti strap that was too long or in our case, a bust that was too big - the sewing team worked their magic. 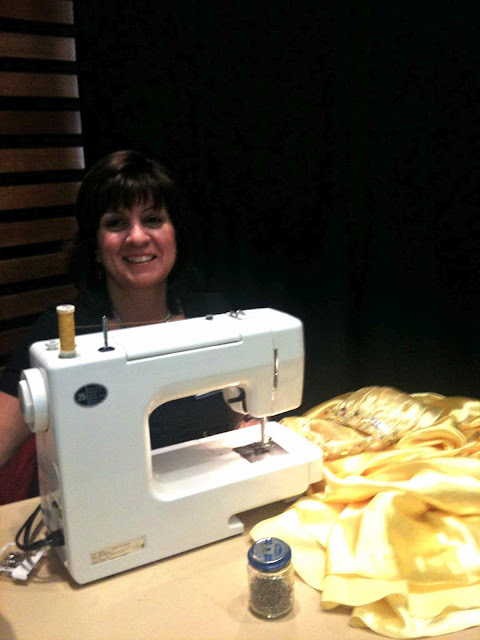 Carmela, also a volunteer pinned Shefat's dress and had it altered for her in less than 10 minutes. It fit perfectly and Shefat was over the moon and all smiles. 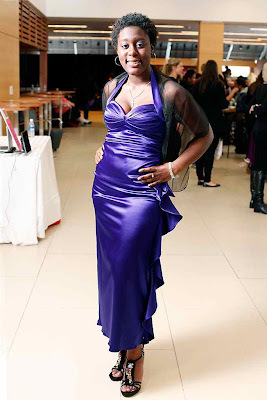 We're definitely going to be keeping in touch and she's going to be sending me her prom pictures soon. Mini touch-ups were provided by volunteer make up artists who quickly showed each guest a few application tips and gifted them each with a Sally Hansen nail product. 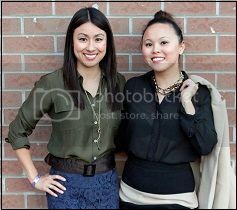 Everyone also walked away with a complimentary gift pack from Rimmel, who donated all the make up for the event. There was so much excitement and energy in the room! The girls could not stop smiling and either could we. It was instantly gratifying to be able to donate my time and to help someone so directly. Thank you again to The Corsage Project for inviting me this year and for helping so many girls look and feel beautiful inside. Sad I missed this! You did a great job and the girls look beautiful! Prom season! The Corsage Project is great. However, if you're interested in donating your dress from your own prom or other formal wear, it won't take it because they only offer brand new dresses. Which is a shame, because so many people wear their dresses only once, and in a time of thrifting and being eco-friendly it just makes sense. 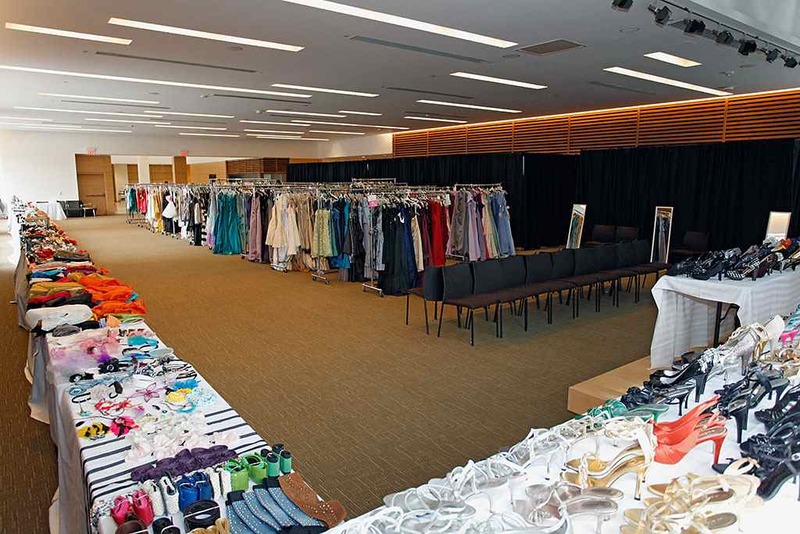 But The Flemingdon Park social services agency New Circles takes gently worn clothing and accessories for its own impressive prom boutique, and it is on every weekday afternoon during the month of May, not simply one day like The Corsage Project. It's currently in desperate need of make-up donations because it doesn't have any sponsors the way The Corsage Project has MAC. CP also focuses on dresses--boys deserve nice prom clothing, too, which New Circles does provide.